First introduced in the U.S. in 1989, Lexus has combined luxury and innovative designs with high-tech features to redefine what luxury driving means for today’s consumer. The Lexus RX was one of the first luxury crossover vehicles to combine the off-road capability of an SUV with the on-road performance of a luxury sedan. This innovative model led to the development of the Lexus NX and GX, all part of the Lexus fleet of luxury SUV’s. Lexus’ models are consistently among the top-rated in their class year after year. If you are a Lexus owner, you know how important it is to keep your vehicle in top running condition. This means finding a mechanic that you can trust to perform regularly scheduled maintenance on your car and who can also handle any repair problems that might arise. In the San Diego area, Transmasters Transmissions and Autocare has been providing reliable service and repair since 1989. Located in Miramar, the service technicians at Transmasters can diagnose and solve the most complex repair issues to simple fixes such as oil changes, tire balance and rotation, and fluid checks. They will do whatever is necessary to keep you Lexus running smoothly and safely. 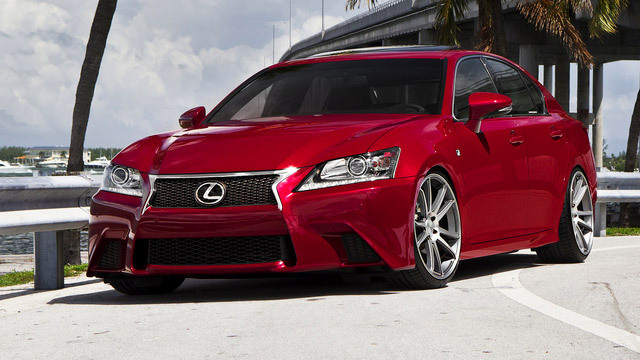 Regularly scheduled maintenance for your Lexus will go a long way to keeping your car in top working condition. But, should a problem arise, it’s good to know that there’s a local car repair shop in San Diego that you can trust to take care of any issues that should arise with your Lexus. All of the auto care specialists at Transmasters have undergone extensive training in automotive repair, including advanced certification in brake, transmission and engine repair. Transmasters Transmissions and Auto Care specializes in transmission repair and rebuilding transmissions. At both of their repair shops, they have in-house automatic and manual transmission remanufacture facilities in addition to in-house engine and drive train remanufacture facilities. Our Transmaster location is owned and operated by an ASE Master Certified Technician, who, with their teams of certified service specialists, can complete all types of service and repair on your Lexus. The number one priority at Transmaster Transmission and Auto Care is customer satisfaction, and they take pride in the reputation that they have developed over the years with their many happy customers for providing reliable and trustworthy repair services. If you’re looking for a local auto repair shop that you can trust to service and repair your Lexus, call Transmasters today for information on pricing, diagnostic services, and repair quotes. In addition to servicing all Lexus models, Transmasters services all domestic, foreign and European cars, and diesel engines including Powerstroke. Check out the Transmaster website to read reviews from many of their satisfied customers.